After researching lenses tirelessly, I am wondering what characteristic makes macro lenses be denoted as such. It seems with the aperture and focal length, the 85mm would actually get better macro pictures. What makes the 60mm a Macro lens and the 85mm not macro? For the most part, a macro lens must focus on an object close to the lens to be a macro lens. The result should be 1:2 or greater magnification. The EF-S 65mm f/2.8 Macro can focus as close as 0.65 ft., whereas the EF 85mm f/1.8 can't focus any closer than 2.8 ft. When the world switched over to 35mm, that idea was more-or-less replaced by the notion that "macro" was up close and personal (in the days of sheet film, a lot of the world could be photographed life-size. With 35mm film, you were pretty much limited in what would fit on the film).At that time, it became more common to talk about half-life-size or more, like fldspringer mentioned. Now, with digital p&amp;s cameras having a "macro" mode, the term is even more loosey-goosey. Basically, it just means a mode that is intended for getting closer than the camera normally shoots. And any mode, lens, or adapter that helps you do that may be called "macro." 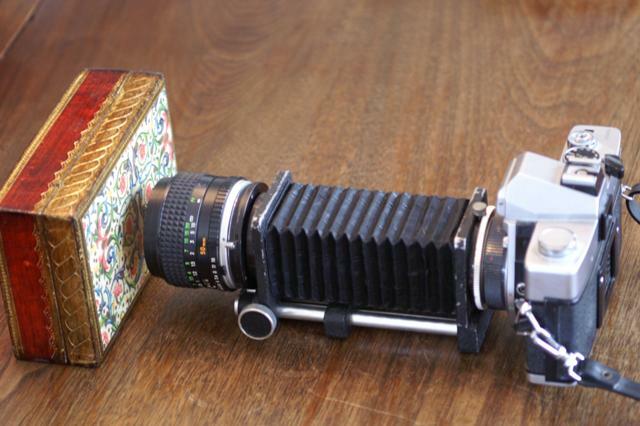 Back in the good old days of film, a macro shot was one where you double-extended the bellows. Anyone who knows what I'm talking about is way too old for the internet!